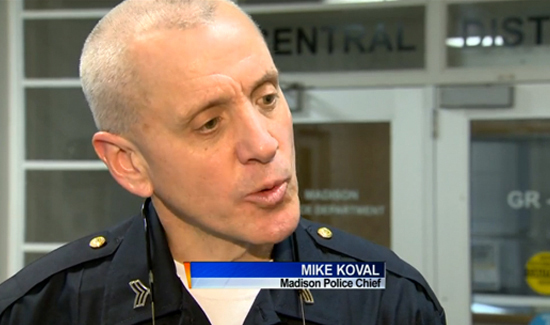 The Madison Common Council has approved a $400,000 study of the Madison Police Department following a tense meeting where the police chief walked out twice. Only one alder voted against the proposal, which calls for a review of the policies and practices of the Madison Police Department. Things got heated at the meeting Tuesday, when there was a tense back-and-forth between Chief Mike Koval and Alder Samba Baldeh. Koval walked out of the meeting twice. He walked out once when he wasn’t allowed to ask a question of one of the speakers, something that’s not normal protocol, according to the city attorney. When Koval addressed the alders, he reiterated the department welcomes the investigation, but questioned the price.